As part of Auckland Libraries' Family History Lunchtime Series I was able to hear Lyn Whelan speaking on 'Stories on Stone'. This talk on monumental inscriptions provided a wealth of information about the purposes of the inscriptions, what can be found, and tips for using these in our family history research. Monumental inscriptions have the ability to tell as more about the lives of those they memorialise. For family historians the information to be found can range from names, relatives and dates, to unique historical events and clues to the history of the community. Clues are important; they may not provide us any answers but they can point us in the right direction, towards our next step or to new information on family we already knew about. Inspired by Lyn's talk I spent time looking into monumental inscriptions of my own family. Using the Auckland Council page of cemetery databases as a starting point for those who I knew lived in Auckland proved fruitful, as did more specific searches for relatives where I knew the name of the cemetery. Auckland Libraries has a wealth of information about cemeteries in Auckland, and further afield. Coming into one of our Research Centres opens the door to a wide range of resources and indexes of cemeteries, as well as the help of our knowledgeable staff when your search hits a wall. My journey into discovering more about my relatives leads me to the next step of visiting their final resting places in Pukekohe. I am lucky enough to still live in Auckland where many of my relatives are buried. 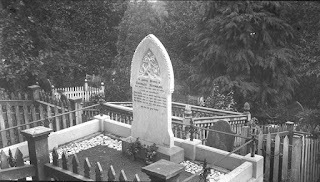 Those who would have to travel further afield may find that the wealth of headstone transcriptions and photos now online and in the library provide them with a similar experience. For everyone monumental inscriptions provide us with the ability to use the information we find as the next clues for discovering more about our families and the world they lived in. 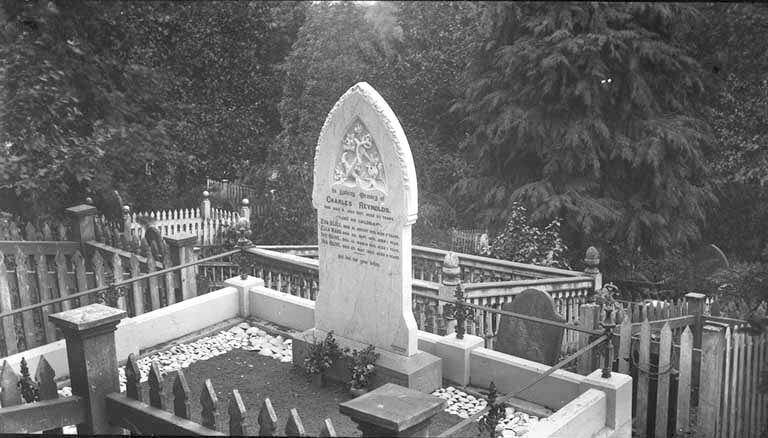 Monumental inscriptions for Symonds St Cemetery can be found in our Cemetery records database. 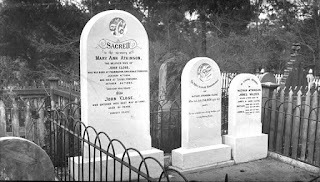 Some photographs of headstones can be found in our Heritage Images database, and there are other photographs that haven't been digitised yet, that can be ordered from Sir George Grey Special Collections. Central Auckland Research Centre has a large number of monumental inscription and tombstone transcription books available for a wide range of countries. For those that missed out on Lyn’s talk, or who want to look further, can also find videos of a number of talks that took place during New Zealand Cemeteries' Heritage Week on our YouTube channel.